The Town of Narrows is the first community in the New River Valley to participate in this new min-grant program, facilitated by Opportunity SWVA. The mini-grant program provides a $3,000 award to communities to implement a community development project through a team structure. The team in Narrows is comprised of citizens, small business owners, town staff, and county representatives. The group gathered for the initial meeting to discuss the potential of the Rally program and begin brainstorming how this mini-grant could be utilized to support ongoing development efforts in Narrows. At the initial meeting, participants heard from Robyn Lee, Entrepreneurship Coordinator for Opportunity SWVA. Through partnerships with the Virginia Department of Housing and Community Development (DHCD) and the Virginia Tourism Corporation (VTC) this program has already seen success in other communities in the region. Chilhowie, Cleveland, Coeburn, Damascus, Dungannon, Haysi, Pocahontas, and Tazewell have utilized the award monies to build and install kiosks, develop wayfinding signage for their downtown, create art in public places, and more. A goal of the project, aside from a short-term completed project, is to build a cohesive and engaged group at the local level to help facilitate future development in the community. This small group locally, will then serve as energetic leaders to support other community and small business efforts. The goal of attracting and supporting entrepreneurs and their ventures to Narrows has been the topic of conversation as the community has participated in master planning sessions for over a year. All five towns in Giles County, Pembroke, Pearisburg, Narrows, Rich Creek, and Glen Lyn are all actively engaged in revitalization planning under the guidance of the New River Valley Regional Commission with funds from DHCD in the form of their Community Development Block Grants. Pembroke and Narrows are nearing the time to submit for implementation funds from their master planning process, while the other communities are beginning their visioning and coordination phase of the process. For the next six months Narrows will be considering, designing, and implementing a project to support the town as a place for business as it relates to the master plan that focuses on outdoor recreation as a driver for economic development. 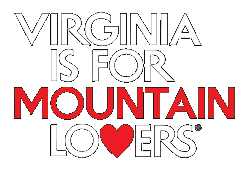 The group that recently met, while no final decisions were made, enjoyed the ideas revolving around signage, façade improvements, or a beatification project to welcome residents and visitors to this wonderfully natural, mountain town in Southwest Virginia. For additional information on RALLY Southwest Virginia please feel free to contact Robyn Lee at 276-376-3453 or rlee@uvawise.edu.